The act of submitting specific URLs to popular search engines like Google, MSN and Yahoo! to ensure the web page get indexed is called search engine submissions. Search Engine Submission is often seen as a way to promote a web site. There are two basic reasons to submit a web site or web page to a search engine. The first reason is to add an entirely new web site because the site operators would rather not wait for a search engine to discover them. The second is to have a web page or web site updated in the respective search engine. There are two basic methods still in use today that would allow search engine submissions. They can either submit one web page at a time. Or, they can submit their entire site at one time with a sitemap. However most of the times, with just submitting the home page, most search engines are able to crawl a site, provided that it is crawler friendly. In order to get a good placement in various search engines, webmasters must optimize their web pages. Many variables come into play, such as the placement and density of desirable keywords, the hierarchy structure of web pages employed in a web site, the number of web pages that link to a given web page etc. The Google search engine also uses a concept called page rank. 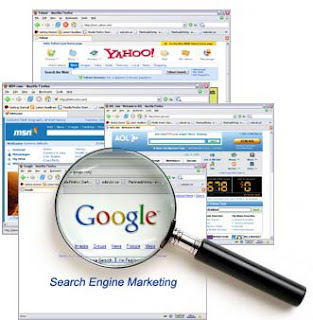 Web sites desire to be listed in popular search engines because that is how most people access web sites. People like to search for information on the web at what is known as a search engine. Sites that appear on the first page of a search are said to be in the top 10. Clicking on a hyperlink causes the found web page to appear in the searchers web browser. Many people think search engine submission is the act of submitting your website’s URL, to the search engines so that they know your website exists, list you in their index and start sending traffic your way. At the most basic assumption is true but there are a number of flaws which reveal Search Engine Submission to be little more than a meaningless “hello” to the search engines. First, search engines mostly find websites by following hyperlinks from other sites .That’s why quality webpage content and quality links are extremely important in order to succeed online. The fact that a search engine knows you exist, doesn’t mean that it will simply “send” traffic your way. Search engines have millions and sometimes billions of sites indexed, so why would they think your site is so special that they would bypass all other sites to send traffic your way. Just as there are potentially billions of pages in the indexes of the search engines that matter there are sometimes millions of other pages with content similar to yours with whom you’ll be competing against for search engine traffic. So, even if you do submit your URL to the search engines it is still highly unlikely that they will start sending significant traffic your way. Who would have ever thought the key to your success could be in choosing the right words. What the heck is that all about anyway. Well it seems, you have to use carefully selected words called, “keywords” to optimize your website so the big daddy search engine to pay attention to you. Just any old words don't work. You have to use relevant words and or parts of phrases that relate to your site's content. Well I can see that! What the heck I believe anyone with a little brains could figure that out. I mean, I wouldn't use the word “carburetor” if I was selling candy, now would I? Seems like there is a lot of hallo blew over the obvious. I've seen keyword search programs, articles, and ebooks all about picking the right keyword. I think some people need to get a life. So if it's such a big deal, what kind of keywords should you use? Duh, how about ones that focuses on what your site is all about? I mean, can't you just see someone putting up a big billboard on the side of the Interstate. Huge letters saying “STAY IN SAN DIEGO” when they are selling Omaha Stakes. Maybe people would respond to the San Diego thing, but they would probably be disappointed when it was Omaha Stakes instead. I mean there's nothing wrong with San Diego, but I think fresh Omaha Stakes are imported there from – Omaha. By Google's rules, one correctly placed keyword produces better overall search engine rankings than if keywords are just generally placed. They also say both targeted and general keyword types will help the site maintain a high ranking. Isn't that special. You not only have to have the right keywords, but you have to have them in the right places. Cripe, I just want to sell my goods, that's all. I'm no Yale grad. or anything like that. I have a good product and I need customers, without the big boys wanting to muscle in. They used to call it the Mafia, oh I'm sorry, there wasn't any Mafia either. So, what keywords are most useful? Set down and put the old brain to work. Figure out which keywords are the most common in relation to your site's content and theme. The Big Daddy Search Engine Optimization tug-a-war begins with the first word but does not end with any set number of keywords. But that's not enough, the correct density has to be used, like around ten to fifteen percent but you could probably get by with up to twenty five percent. So use words that are relevant to your website, but don't use too many, no – no you'll get a slap on the hand. So Just How Do You Choose the Best Keywords?? ?